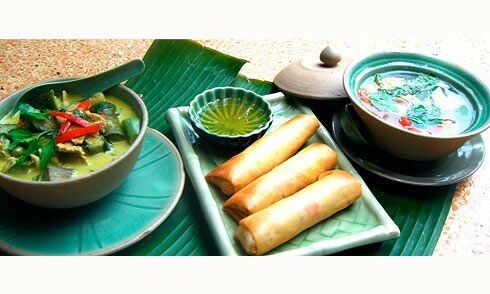 As everyone knows, Thai cuisine is renowned whilst Phuket is famous in tourism industries. Why do you combine together between having a Thai cooking class whilst travelling in Phuket! 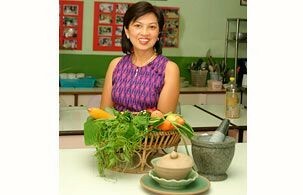 Here comes “Pat‘s Home Thai Cooking School” in Phuket. 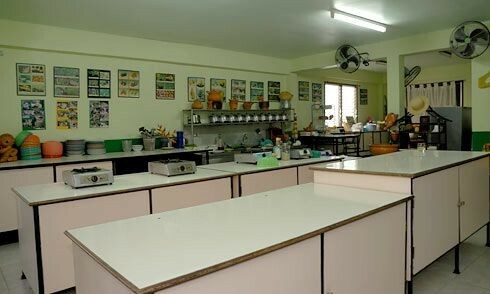 Pat’s Home Thai Cooking School is worldwide well-known as the first and best home cooking school in Phuket where you can enjoy explosive flavors, mouth-watering aromas, and fresh and healthy ingredients. Patcharin Tiengthong or Pat is originally a native of Bangkok. She spent 8 years as a chef in California. She can answer all your questions and share her special tidbits for creating your best beautiful and delicious Thai cuisines. 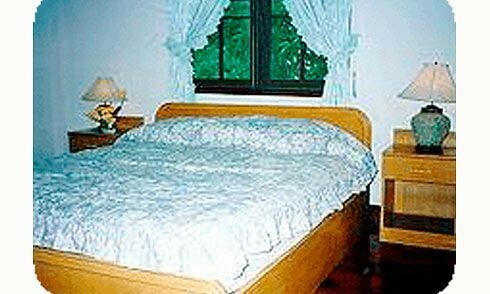 Be held in Pat’s home near Phuket town in her airy western style kitchen. This course comes with a special of morning trip to the local markets selecting freshest ingredients for your cooking class’s experience. Pat will certainly go with you for teaching how to select the best ingredients and describing each element’s which make Thai cuisine deliciously unique. Option B – At Pat’s Balinese-Thai style bungalow where located on a mountain high above Phuket city with a great view of Phuket and Andaman Sea. Do not hesitate to bring your own beverages. If you forget, don’t worry. Pat has a variety selection of both alcoholic and non-alcoholic beverages to complete your gorgeous dining. 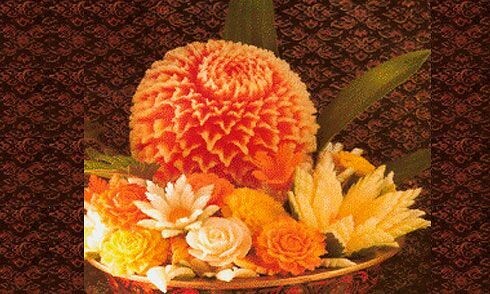 Not only Thai cooking classes provided, but also Traditional Thai Fruits & Vegetables Carving! 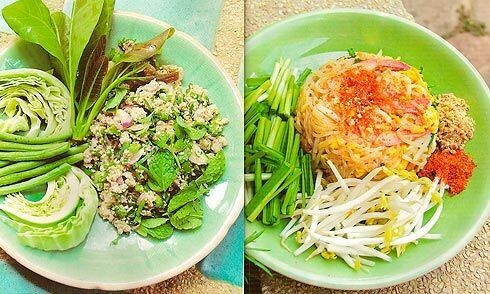 It will complete your Thai cooking class if you learn some carvings. Advanced training courses can be arranged as well as courses for group tours, sporting teams, and business conferences (great as a team building exercise). 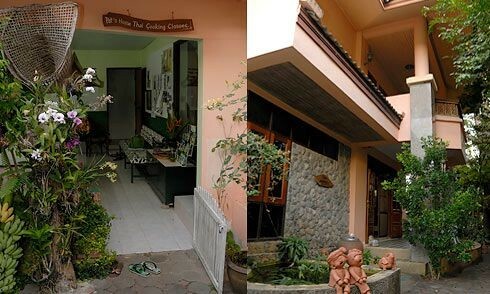 Pat’s bed and breakfast accommodation is only 950 THB pp/night or 1,000 THB/couple. 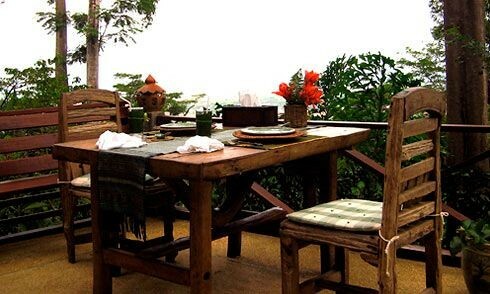 Pat’s Balinese/Thai-style mountain bungalow can be rented at 1000 baht/night which includes the exclusive use of the two bedroom house and its magnificent natural surrounds. You can now relish Pat’s delectable Thai culinary treats any time as Pat has opened her kitchen and extensive menus to cater for your next party, conference or business function. Pat and her team will supply all the decorations, service personnel and accoutrements leaving you stress free to enjoy your special occasion. The food will be prepared and served hot and fresh on location either at a venue of your choice or Pat can arrange a venue for you. Prices for both the cooking classes and catering are very reasonable and details are gladly forwarded to all enquiries. Pat can even arrange transportation to and from your accommodation anywhere on the island, or for those who truly wish to experience Thai family life in-depth, Pat has opened her doors for you to stay in luxurious, air conditioned, bed and breakfast style accommodation in her home.